Enjoy a little taste of Italy with iL Molo’s All Day Pizza Party. 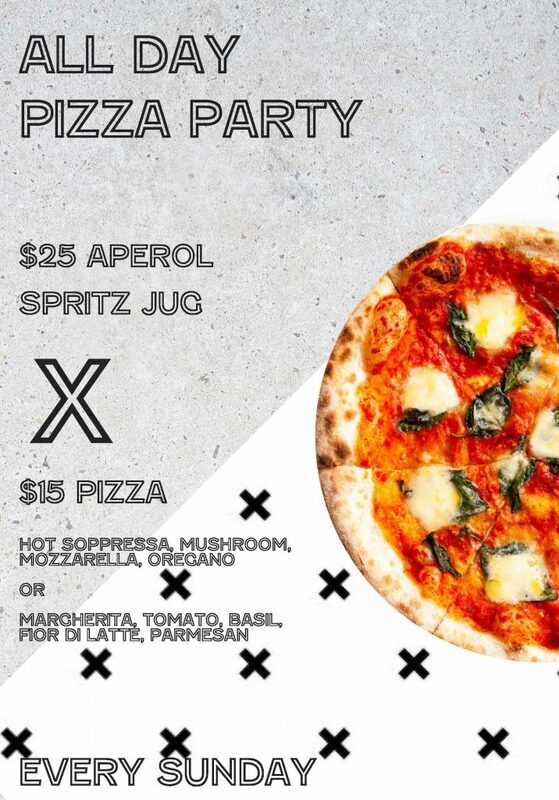 Join us by the river every Sunday for $25 Aperol spritz jugs and $15 wood-fired pizza. Margherita, tomato, basil, fior di latte &parmesan. Book now to finish off your weekend by the water. Please phone iL Molo on (07) 3899 6113 or contact us.